Are you having trouble with your hearing? Hearelief Hearing and Tinnitus Management is a locally owned and independent audiology practice, operating in Camberwell and Cranbourne, caring for the whole family. Hearelief strives to make your hearing is the best it can be, so that you can fully engage with life. Hearing is essential to living a rich and engaging life. It enables us to communicate, learn, work, and socialise with loved ones and the world around us. Hearelief provides comprehensive audiological services for hearing loss, tinnitus and sound intolerances to people of all ages. We work to understand the needs of each client and provide independent services and advice that are tailored to your needs, at an affordable level. Hearelief is a full-service, independent and caring audiology practice. We support and empower our clients, through a holistic approach to hearing health. All of our services are evidence based, ethical, and based upon the needs of each individual, in accordance with recommended best practice. When a multidisciplinary approach is required, we collaborate with other health professionals as necessary. Susan holds a clinical practicing certificate and regularly undertakes ongoing research in auditory rehabilitation and tinnitus to ensure that all of Hearelief’s services are of the highest quality. She has undertaken extensive training in tinnitus and sound intolerance assessment and management both in Australia and overseas, including the European Tinnitus Management Course and courses in cognitive behaviour therapy and acceptance and commitment therapy. 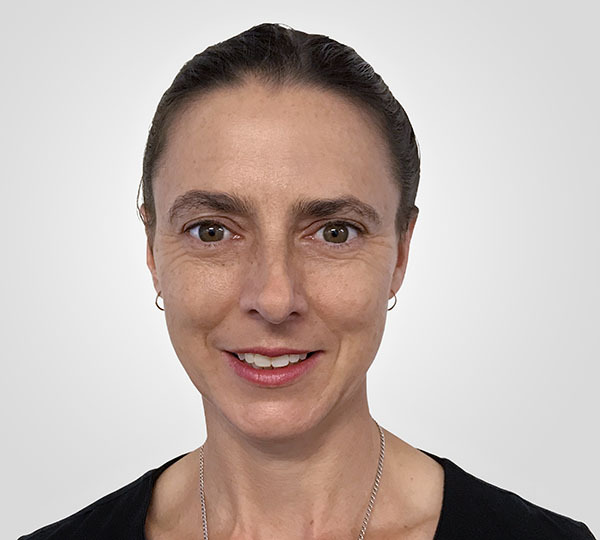 Susan is actively engaged in research to improve the assessment and management of tinnitus and is currently undertaking a PhD through the University of Western Australia and Ear Science Australia. We strive to make improved hearing more accessible by offering hearing aids at discounted prices, along with exceptional service, potentially saving our clients thousands. Individual services designed, delivered and monitored by a fully-qualified audiologist. Hearelief offers a wide range of affordable and accessible hearing services for the whole family. All of our services are tailored to each individual, taking into account your specific lifestyle and communication needs. We take the time to ensure that you understand your options and provide ongoing support to ensure a positive outcome. Hearelief provides comprehensive hearing assessments for people of all ages and stages of life, from babies, through to children, adults and the elderly. We can also carry out WorkCover, assessments and industry hearing tests. Find out more about hearing tests. There are many different conditions that can lead to difficulty hearing and hearing loss, from medical reasons to something as simple as wax blocking the ear canal. Addressing hearing loss sooner rather than later can lead to improvements in your quality of life. Hearing aids are important for restoring hearing loss, making speech clearer and conversation easier to follow, as well as for the management of tinnitus. Hearing aids vary in style and technical sophistication. Hearing aids need to be chosen so that they suit your type and degree of hearing loss as well as your lifestyle and communication needs. Find out more about hearing aids. Tinnitus refers to the perception of sound when there is not external sound present. It is usually perceived in our ears or head as a buzzing, ringing, cicada or humming sound. Hearelief offers extensive assessment, counselling, information and individually tailored tinnitus management programs, for both adults and children. Find out more about tinnitus. Hearing loss and tinnitus can develop from frequent exposure to loud noise. Custom ear plugs are made specifically for your ears to provide the best fit and most effective noise reduction or water protection. Find out more about ear plugs. Contact Hearelief to book any of our services. Hearelief is in a unique position to provide high-quality, accessible hearing services for aged care and in-home care residents through its mobile audiology services. Hearing loss is a significant issue for many aged care and in-home care residents. It can contribute communication difficulties, social isolation, exacerbate cognitive decline and contribute to a reduced quality of life. Unfortunately, it is often very difficult for aged care and in-home care residents to receive optimal hearing care due to difficulties associated with attending appointments or the time associated with waiting for home visits from many providers. Liaising with family members and guardians. Collection and return of hearing aid repairs. Provision of assistive listening devices. Staff in-service training on hearing aid care and management as well as the impact of hearing loss on aged care residents. Fully subsided hearing care for eligible pensioners and veterans and private consults for self-funded retirees. Prior to training as an audiologist Susan Tegg-Quinn was a registered nurse, and spent two and a half years working in aged care. She has also spent two years working in an audiology clinic located in an aged care facility’s medical clinic. She understands the difficulties experienced by aged care and in-home care residents and their families as well as the challenges faced by aged care facilities trying to meet their residents’ hearing care needs. Contact Hearelief to find out about any rebates or financial assistance you may be eligible for. Many of our services are eligible for a rebate or financial assistance. Please call us on 03 9889 9629 to discuss any rebates or assistance before your your first appointment. Medicare rebates may be available with a signed referral from your doctor, through a chronic disease management plan, or with a referral from either an Ear Nose and Throat Specialist, Neurologist or Paediatrician. Your GP will need to sign, and send us, a Hearing Services Program Medical Certificate, before your assessment appointment. Many private health insurance funds provide rebates for audiological testing and/or hearing aids. We advise you to contact your private health insurer to check your cover.